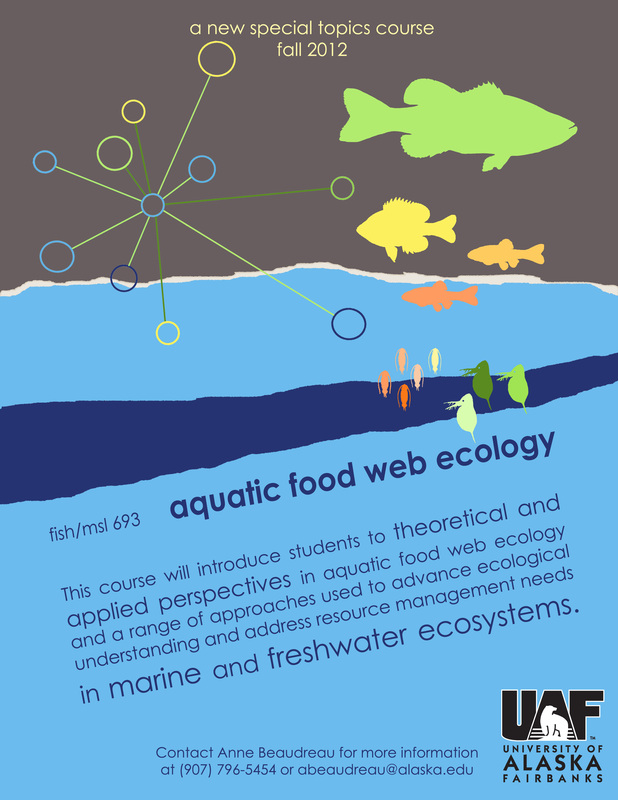 This course examines theoretical and applied aspects of aquatic food web ecology, from the ecological processes that give rise to patterns in aquatic communities to the incorporation of trophic interactions into ecosystem-based management. Lectures and discussion focus on ecological theory and case studies. Lab exercises introduce empirical and modeling approaches for studying food web interactions. In this course, students will: (1) Gain knowledge of fundamental theory in aquatic food web ecology; (2) Develop an understanding of important primary literature through synthesis and critical analysis of classic and contemporary literature in food web ecology; (3) Achieve familiarity and practice with analytical tools and approaches for quantifying trophic interactions in aquatic systems; (4) Understand approaches to developing food web studies for management applications; and (5) Develop a conceptual framework for original research on food webs in aquatic ecosystems. Conservation biology is an applied science that draws from multiple disciplines to address biodiversity loss, maintenance and restoration of threatened populations and habitats. 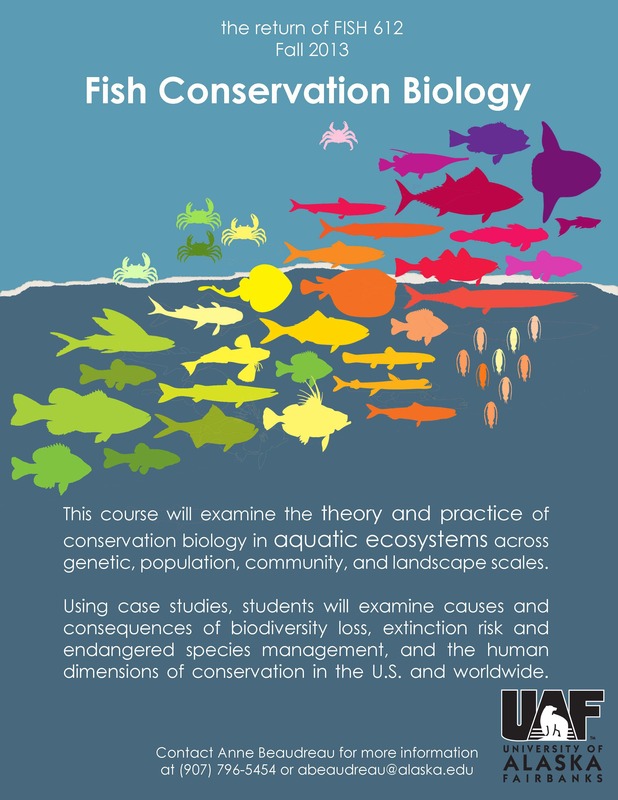 This course will examine the theory and practice of conservation biology in aquatic ecosystems across genetic, population, community, and landscape scales. Using case studies, students will examine causes and consequences of biodiversity loss, extinction risk and endangered species management, and the human dimensions of conservation in the U.S. and worldwide. In this course students will: 1) Gain knowledge of ecological and evolutionary principles that underlie aquatic conservation biology; 2) Understand how to measure biological diversity across biological scales (genes to landscapes) and geographical scales (local to global), proximate and ultimate threats to biodiversity, and consequences of biodiversity loss; 3) Develop an understanding of important primary literature through synthesis and critical analysis of case studies that emphasize conservation issues in aquatic ecosystems; 4) Achieve familiarity and practice with analytical tools and approaches in conservation science, including population viability analysis and spatial conservation planning; 5) Discuss and understand ways that society shapes conservation efforts, including the forces of economics, policy, ethics, and institutions; 6) Apply critical reasoning skills to assessment, analysis, and synthesis of conservation problems and solutions. There is an increasing and well-documented need for scientists to effectively communicate their research to the public. 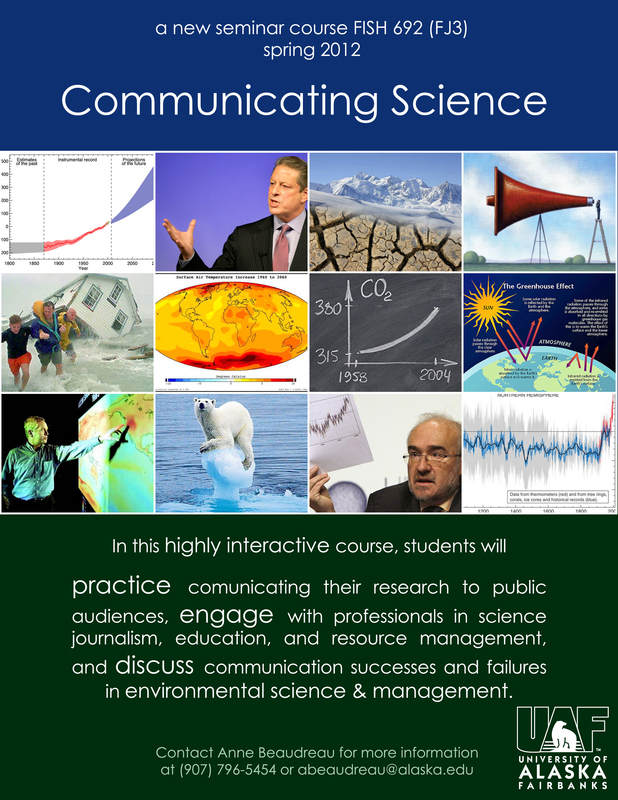 In this highly interactive course, students will gain practical skills in communicating environmental science to the public and natural resource policy makers. Short lectures, readings, and discussion will focus on communication issues in environmental science and management and best practices for good oral and written communication. Throughout the semester, students will work with peers to develop tools for effective science communication and engage with invited professionals in science journalism, public relations, and resource management. Students will gain direct experience in communicating their own original research to a public audience through a group outreach event that they will co-organize at the culmination of the course.